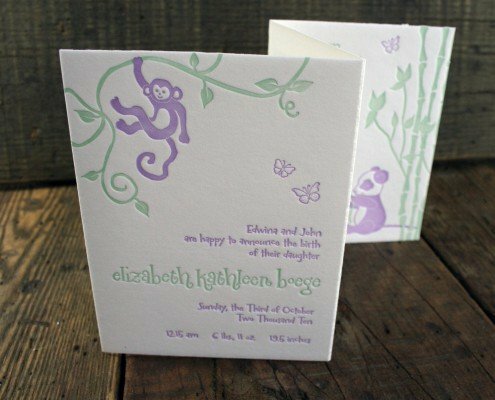 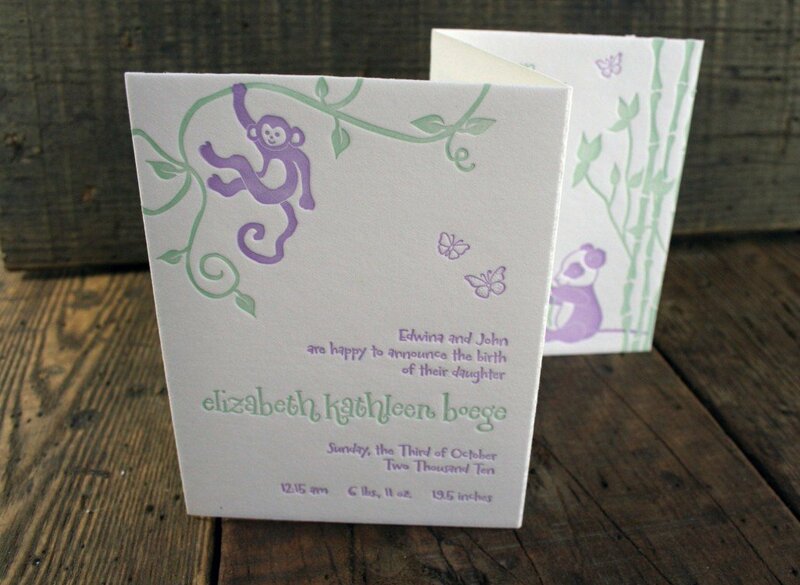 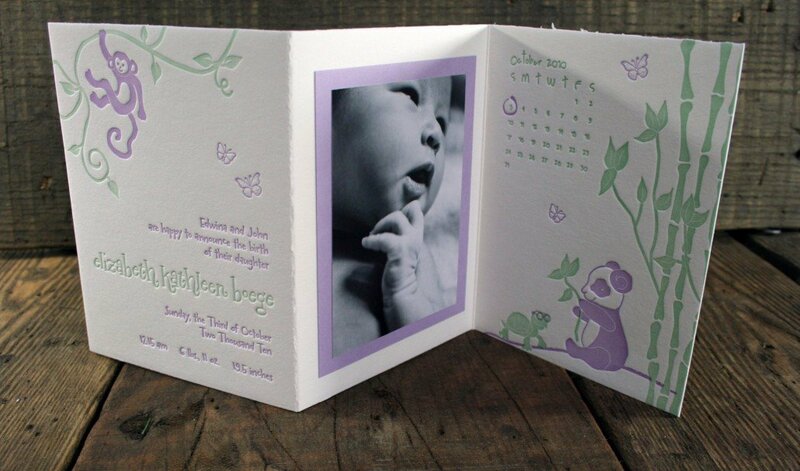 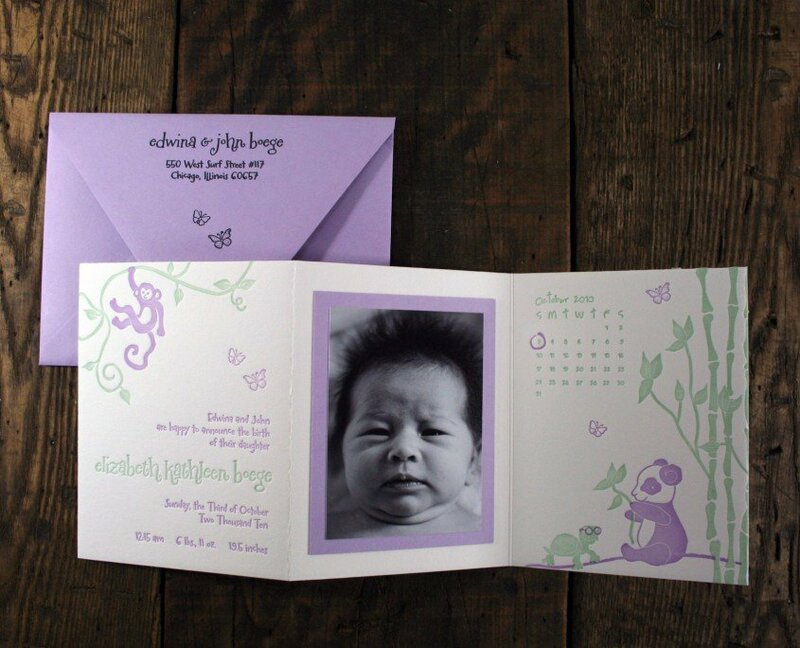 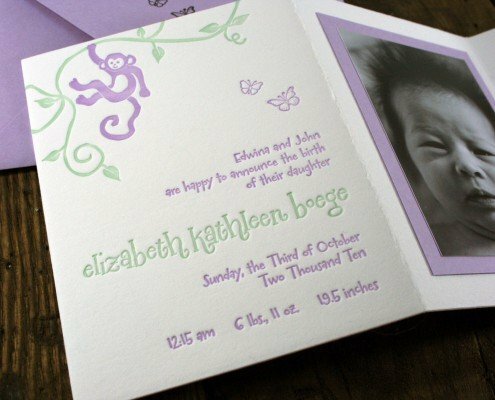 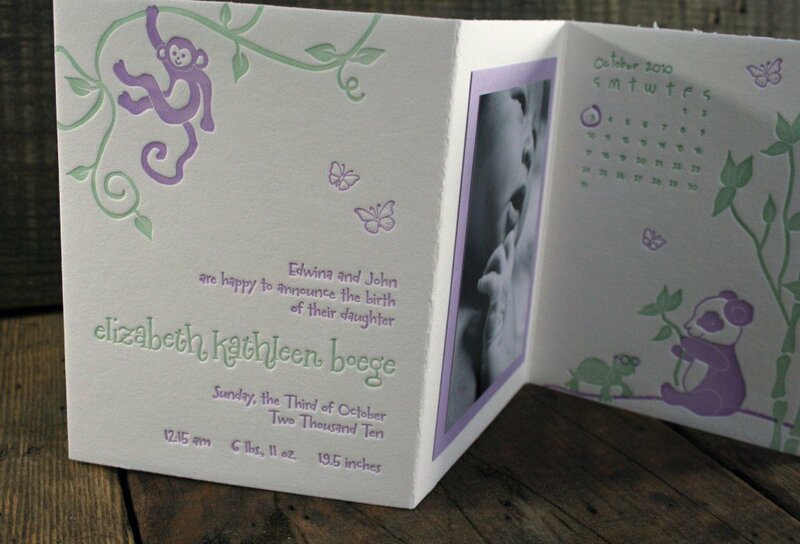 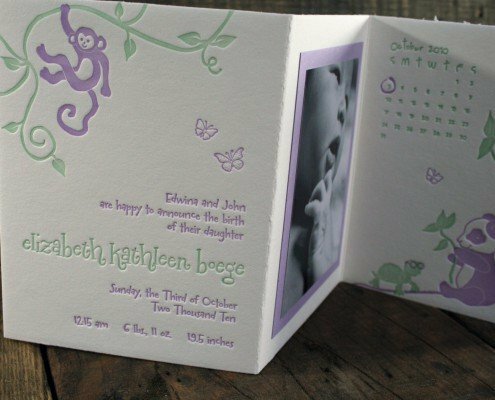 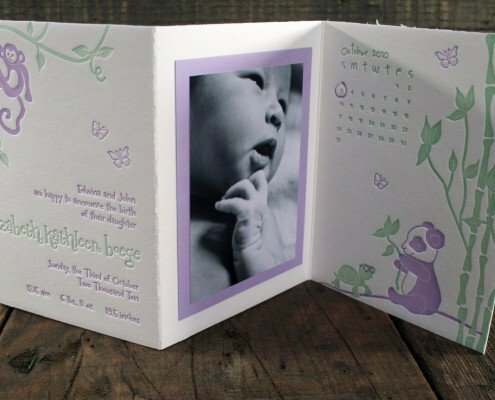 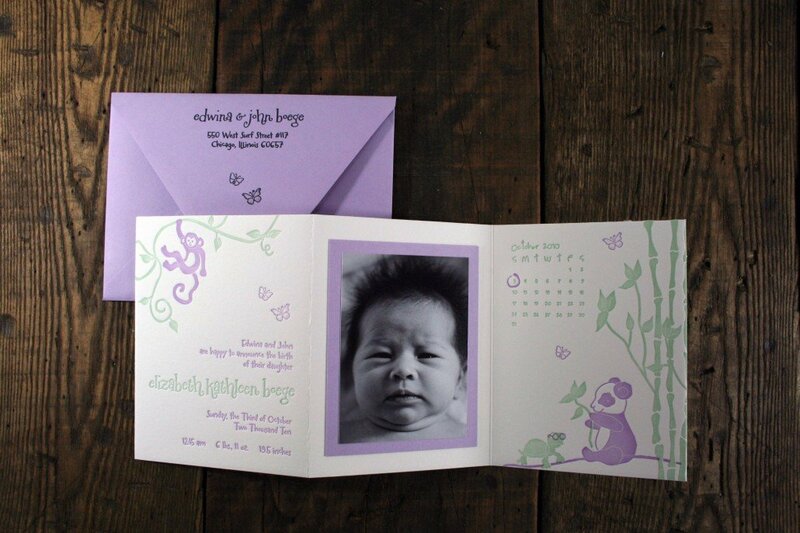 Adorable animals and cheery pastel colors were the theme of these gorgeous tri-fold, letterpress birth announcements for Elizabeth Boege. 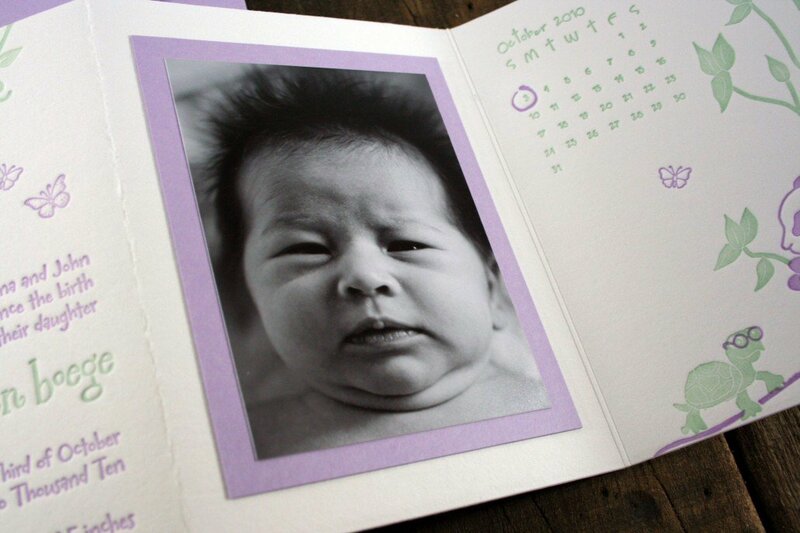 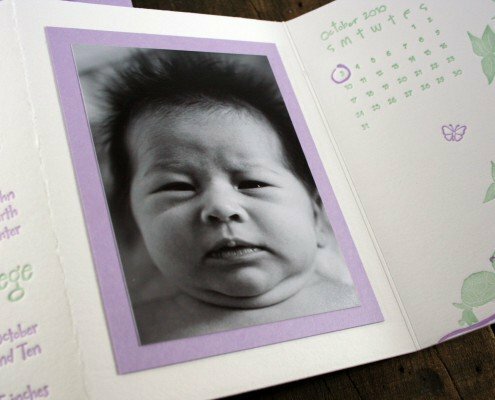 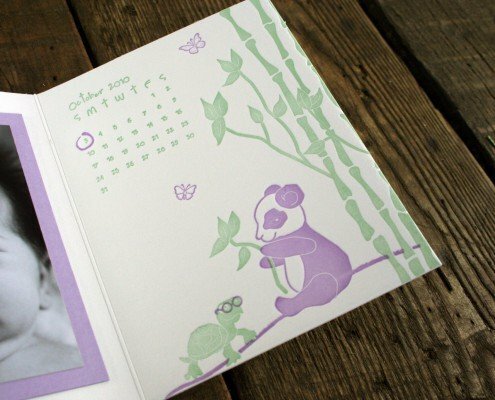 Elizabeth’s announcements featured three panels with the announcement on the first, a photo of her in the center, and an adorable drawing of a panda, turtle, and the calendar with her birth date circled on the third. 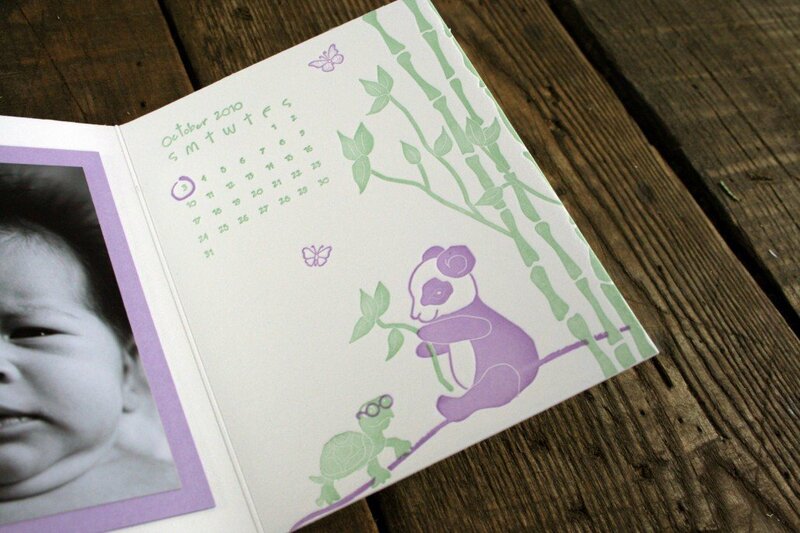 We gave the turtle in the design glasses as a nod to Elizabeth’s grandfather, who is lovingly nicknamed “Turtle”. 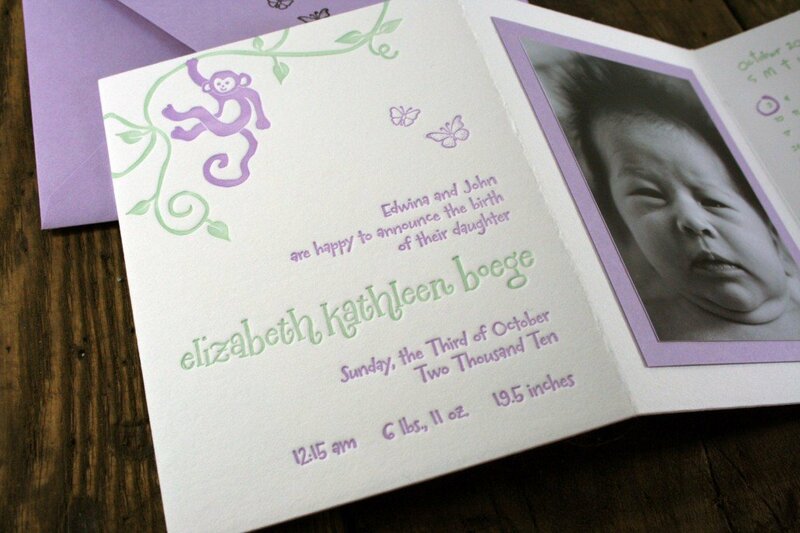 These announcements came with matching lilac purple envelopes.